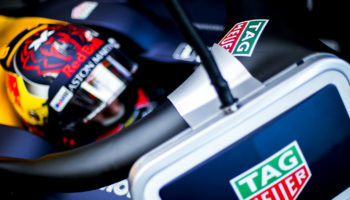 Chronoswiss got behind the wheel of the 29th Kitzbuehel Alpine Rally in Switerland for the first time earlier this month. A total of 187 classic cars took to the 500km alpine course with Burkhart Müller and his co-pilot Fabian Mohr winning in a Mercedes-Benz 250 SL Pagode from 1967. 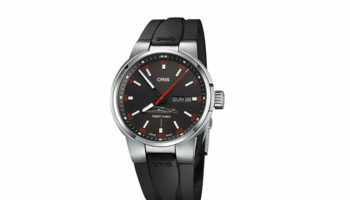 Event sponsor Chronoswiss presented Müller with one of only 29 Sirius Regulator Rallye Limited Edition watches produced, one for each year the rally has been held. 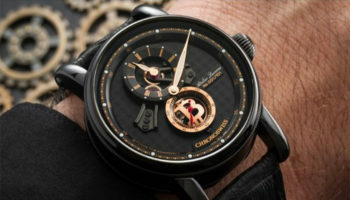 The automatic Regulator with the sporty Rally wrist strap was presented by Tagesschau’s chief presenter, Jan Hofer. 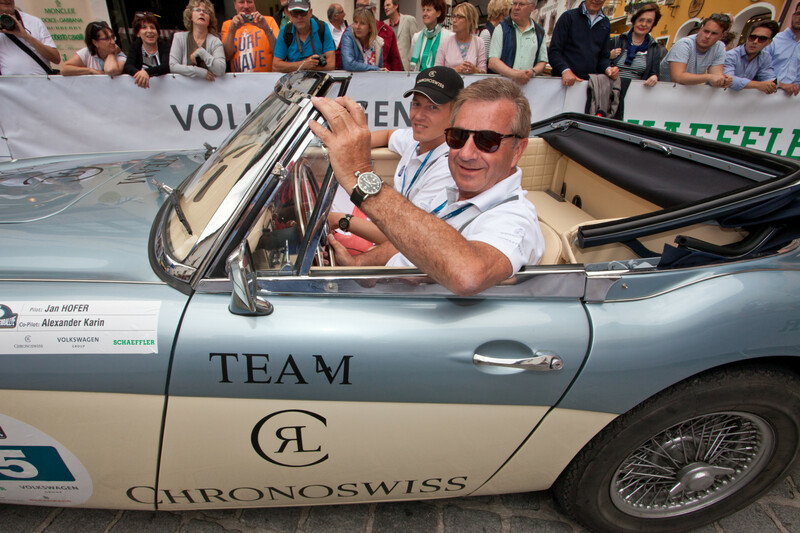 The ARD anchorman, who has been a huge fan of the brand for many years, lined up for the Alpine rally in his Austin Healey 3000 from 1966 to represent the Chronoswiss team. Oliver Ebstein, chief executive and owner of Chronoswiss, also took part for the same team and was able to gain his first Rally experience in a historic vehicle: brand founder Gerd-Rüdiger Lang was unable to take part himself, but loaned Oliver his elegant, cream-coloured, 164 HP Jaguar MK II.